still cannot see those toned triceps, biceps, and chiseled six-pack abs? Do you feel inferior to your gym mate who looks like a model? Supporting rigorous exercise regimens with suitable dietary supplements is important to build that dream body. 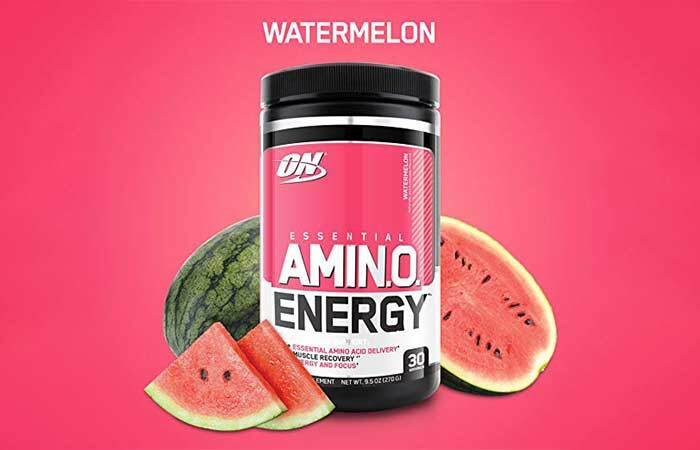 One such supplement is branched-chain amino acids (BCAA). Read on to find out why BCAAs matter. How Are BCAAs Different From Other Amino Acids? What Happens To BCAAs When You Exercise? 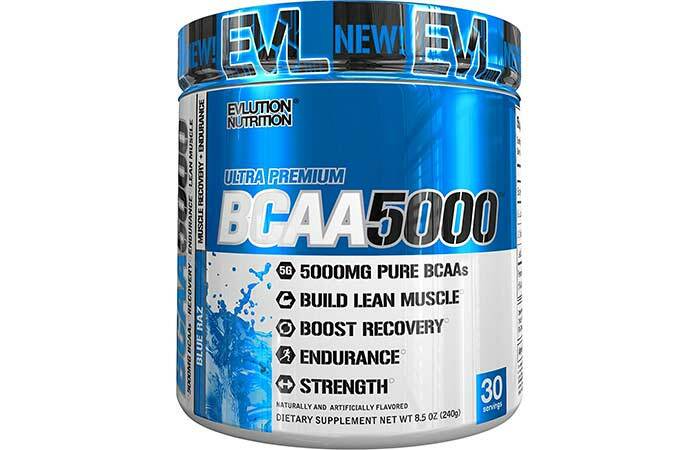 Branched-chain amino acids (BCAAs) consist of three essential amino acids, namely, valine, leucine, and isoleucine. These three amino acids belong to a group of 20 amino acids that are called the building blocks of proteins. But why are only these three grouped together? So what if they have structural similarities? Is that a big deal? Why are they in the limelight at all? Scroll down to know why. Generally, anything that you eat reaches your stomach. The hydrochloric acid and digestive juices from the pancreas breaks everything down into proteins, carbohydrates, and fats. The small intestine break complex proteins into simple amino acid chains, while the large intestine extracts traces of nutrients and water from the digested matter. Then, the excretory system takes over. As a result, most amino acids are transported to the liver for their metabolism. But BCAAs have a different route. The trio – valine, leucine, and isoleucine – are among the nine essential acids that are metabolized in the muscle and skeletal cells, not in the liver. That is why they help you build muscles. Weird, but this is how it happens. The muscle cells and adipose tissues first oxidize BCAAs into keto acids. The mitochondria of muscle cells have the machinery required to perform this reaction. Keto acids are then used by muscle cells to fuel the Krebs cycle for ATP production or are transported to the liver for further oxidation. Oxidation in the liver produces branched-chain oxo acids. These can be used by the liver for energy or metabolized in the muscle cells to give (ATP) energy. 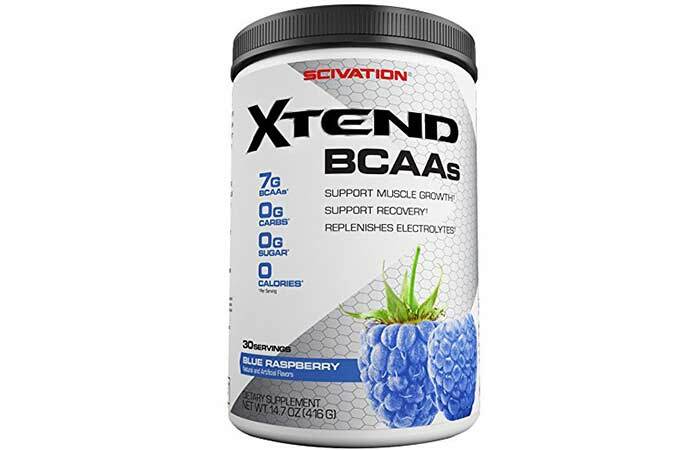 Since muscle tissue has 60% of the enzymes needed for oxidation (burning) of BCAAs for energy, it is said that they are designed to derive energy from BCAAs. Now, on to your next probable question – why are they essential for building body and muscle mass? 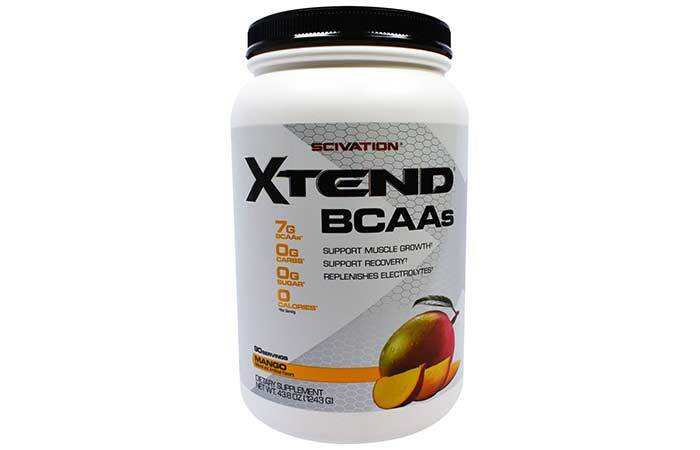 During exercise, the body uses BCAAs to derive energy. 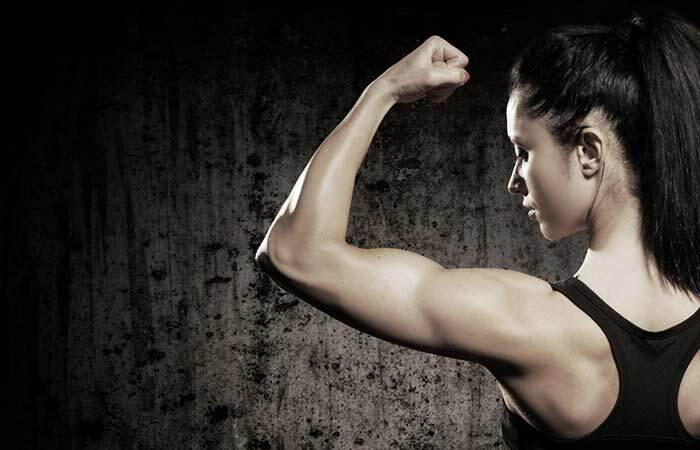 The longer and harder you workout, the more BCAAs are used by muscles for energy. It is estimated that 3% to 18% of all workout energy is provided by BCAAs (1)! The mechanism responsible for this phenomenon is attributed to activation of the branched-chain alpha-keto acid dehydrogenase (BCKDH) complex. Fatty acids and other competitive enzymes tightly regulate the activity of the BCKDH enzyme. Your body needs BCAAs, especially leucine, when you work out. The demand for readily available (unbound, active) leucine is at least 25 times higher than the rest of the amino acid reserve. This is why you are asked to consume more protein – in whichever form available – if you want to improve your endurance (2). So, How Exactly Do BCAAs Work? Why Do You Need Supplements? 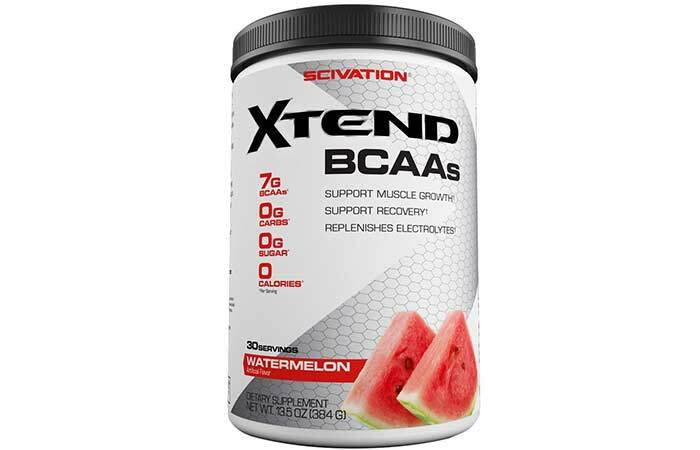 When you exercise vigorously, your muscle cells constantly utilize BCAAs for energy. BCAAs directly stimulate protein synthesis by activating insulin and cellular mechanisms. When the BCAAs reserve starts depleting, your muscles run out of their energy source. Though they use the adipose tissues and other energy sources, they are not as effective. This is when you do not see any muscle building in your body (also called muscle loss). 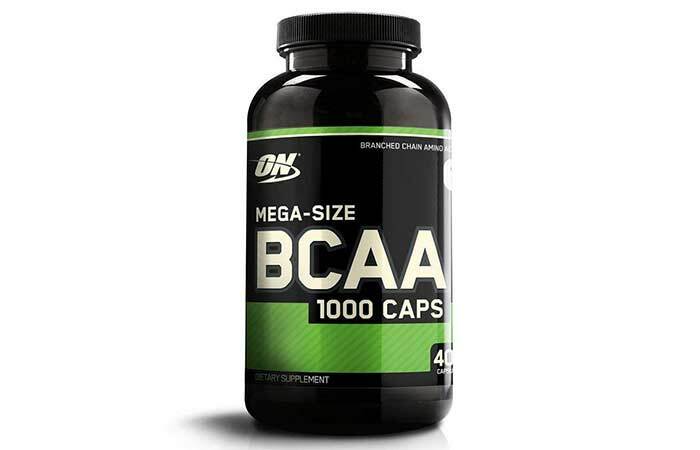 To solve such a resource crisis, you need to take BCAA supplements. These supplements prevent loss of muscle mass and promote fat degradation in your body. Now, you might ask me, “I don’t want to build any muscles. Why should I take BCAA supplements?” Scroll down to find your answers. 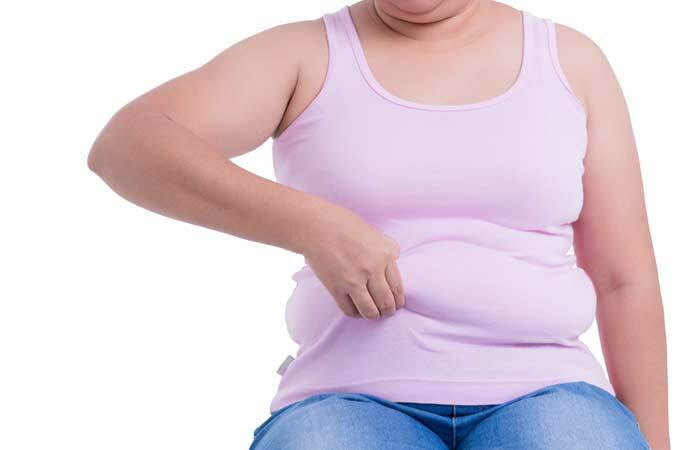 It is not easy for obese individuals to lose those flabby discs around the tummy. Along with a strict exercise and diet regimen, boosting your body with necessary supplements is equally imperative. BCAAs, especially leucine, stimulate the fat cells (adipocytes) to release energy from the stored fats. Although there’s a need for in-depth research, short-term studies have shown that having a high-protein and high-BCAA diet aids weight loss without affecting muscle mass (1), (3). Taking BCAAs before or after exercise reduces fatigue and indirectly affects your endurance and performance. Valine, leucine, and isoleucine lower the levels of serotonin – a neurotransmitter that induces fatigue and soreness. Subsequently, the levels of muscle-damaging substances like creatine kinase (CK) and lactate dehydrogenase (LDH) are also reduced. Lower the fatigue, lesser the wear-and-tear of muscles. Lower the muscle damage, higher the endurance (4). Athletes and runners (especially the ones that run marathons) face the most tissue damage. Despite having great stamina, some athletes complain of muscle loss, protein loss, and fatigue. BCAAs come to the rescue in such cases. 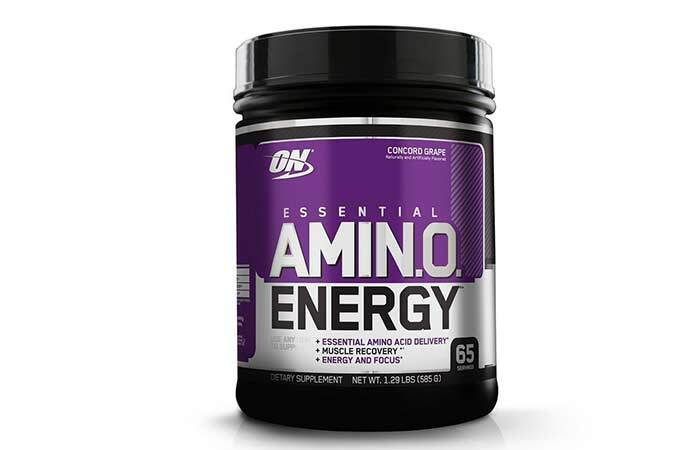 Supplementing the amino acid trio, especially with 76% leucine, decreases the rate of net protein degradation and lactate dehydrogenase levels. They also increase the blood glucose levels during exercise and improve mental and physical health (5), (6). One of the most common post-traumatic stress symptoms that patients, particularly those with traumatic brain injury (TBI), face is insomnia or disturbed sleep pattern. Respiratory infusions given at night or having BCAA-rich snacks late in the evening help in regulating the sleep cycle of such patients (7), (8). Valine, leucine, and isoleucine are oxidized into precursors of neurotransmitters like ɣ-aminobutyric acid (GABA) and glutamate. 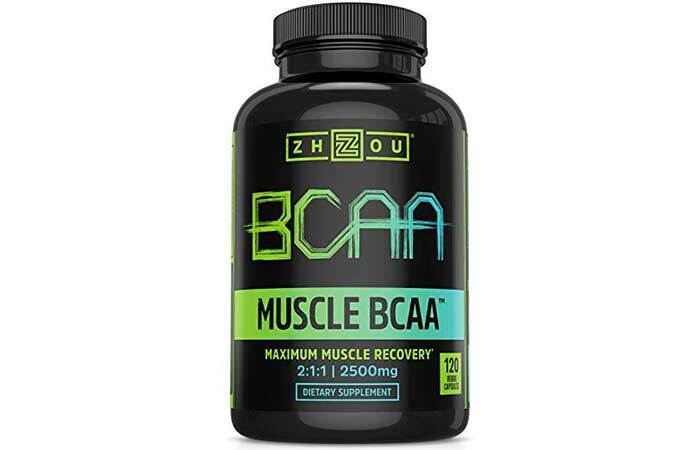 BCAAs restore the levels of these chemicals, which are responsible for the normal functioning of your brain and correct insomnia and sleep apnea (9). It is a myth that vegans are malnourished and cannot build a body. Also, assuming that animal products are the only source of protein is a misconception. Animal proteins are made of amino acids that are present in plant sources too. The only difference is in their concentration. To make up for this, vegans can opt for foods that are rich in BCAAs or BCAA synthetic supplements. These amino acids will help you bulk up, even if you are a strict vegan (10)! To experience these mind-blowing benefits of BCAAs, you have to make them a part of your diet. And how do you do that? Just scroll through the list of foods that we have curated for you. These foods are natural and abundant sources of BCAAs. Most of us can add a few, if not all, of these elements to our daily diet. It is recommended to consume the plant sources unprocessed. Unprocessed meat has higher BCAA content than processed meat, but it is not recommended to have animal products that way. 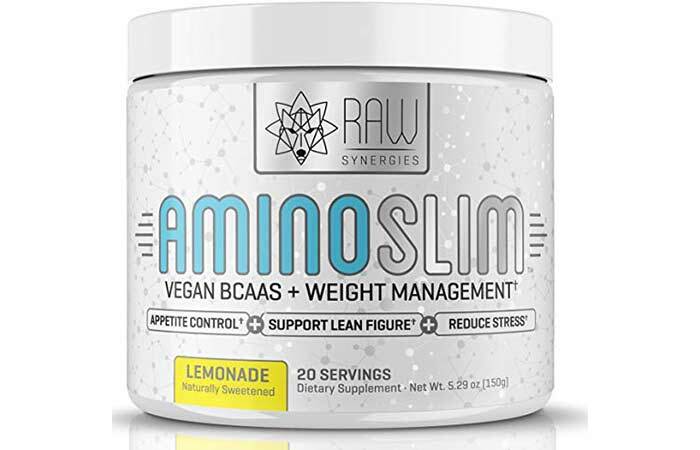 As an alternative, if you want to supplement your diet externally with synthetic BCAAs, you can choose from a wide variety of powders, capsules, tablets, chewable lozenges, and drinks that are available these days. That’s the bonus! We’ve got that sorted for you, too. Read on! You can have this drink any time of the day. Mix it in water for best results. 30 minutes before workout (or) 30 minutes after workout. Swallow 2 capsules with water, a beverage of your choice, or protein shake. Warning: Do not consume more than 6 scoops of this powder within 4 hours. Two scoops of this powder have 100 mg of caffeine. You can scale down the strength of this drink by dialing up or down the number of scoops. Make this power drink in water for best results. With zero calories and carbs, this is a good sugar-free drink mix. Each serving gives you 7 g of BCAAs. It has 2:1:1 ratio of Leucine:Isoleucine:Valine. Have this drink before, during, or after your workout. With zero calories and carbs, this is a good sugar-free drink mix in Blue Raspberry flavor. Each serving gives you 7 g of BCAAs in 2:1:1 ratio of Leucine:Isoleucine:Valine. Also has 2.5 g of L-Glutamine and 1 g of Citrulline Malate. This drink mix has 5-10 Calories and 0 g Sugar. It also comes with 5 g of Free Form Amino Acids per serving. One serving provides 100 mg of caffeine from natural sources – green tea or coffee beans. You can have this drink at any time in the day. This mango flavored drink mix has no carbs and sugar. It has 2.5 g of L-Glutamine and 1 g of Citrulline Malate, along with BCAAs. This drink helps you recover faster from fatigue. Have 2 servings per day in water. The preferred time is before or after your workout. 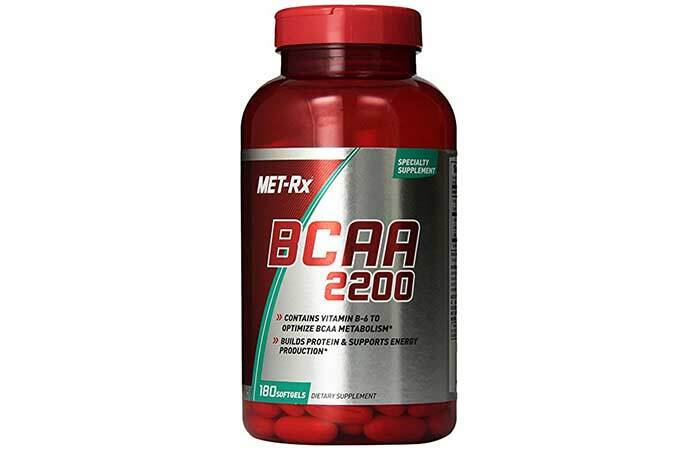 Has 2:1:1 ratio BCAAs in capsules. It can be used by men and women to boost stamina. Take 4 capsules between meals (or) 30 minutes before your workout and/or immediately after an intense workout. It is suggested to modify the dosage only under medical supervision. This supplement comes in the form of softgels made with NitroGel technology. Has added vitamin B6 to aid the absorption and metabolism of BCAAs. Specially designed for people who train heavily. Take 4 softgels immediately after an intense workout. For enhanced support, you can take 4 extra softgels before your workout. Specially formulated for women looking to lose some pounds. Has premium fermented BCAAs, glutamine, Ashwagandha, and saffron. Suppresses hedonic hunger and sugar cravings for practical, healthy, and stress-free weight loss. Have 1 scoop of this drink mix in water. Drinking it before going to bed promotes sound sleep and metabolism. Phew! That’s a LOT of options! I mean, who would not want to lose weight when you have such lip-smacking drink mixes in the market! Then, why wait? Whip up a quick brunch with some almonds, milk, lentils, meat, and brown rice. If not, order your favorite and best-suited BCAA supplements from the listed chart-toppers right away! Do not spike up or down the BCAA supplement without the consent of your dietitian or doctor. If you are pregnant or breastfeeding your baby, it is better to consult your physician or a dietitian before taking these supplements. The drink mixes can cause mild nausea or diarrhea. Consult your doctor in such cases. Despite the downside, BCAAs show incredible results – if you take them in the right dosage following medical supervision. We’d be eager to know what changes BCAAs triggered in your body – whether you are able to lift dead weights and flaunt those biceps or not! Use the comments section below to share your stories, honest feedback, and suggestions about BCAAs. The post 5 Shocking Benefits Of BCAAs You Need To Know Today! appeared first on STYLECRAZE.